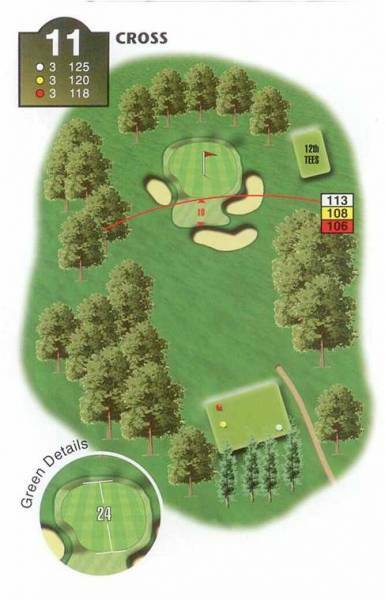 "Underestimate this short par 3 at your peril. This surprisingly large but well bunkered green has a well respected reputation for challenging even the most competent of putters. The expression "Don't give any putt on the 11th" is well deserved, especially when the greens are running at full summer speed. Caressing the ball towards the hole is recommended, for the player with the 'blacksmith's touch' will certainly become a victim to this inconspicuous hole."